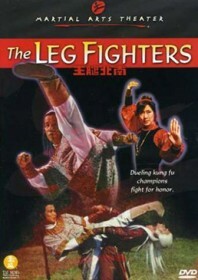 Simple yet impressive kicking movie – one of the best of its kind – in which a bootmaster cast revel in the delights of virtually non-stop combat. Dorian Tan plays the respected sifu who kills wayward fighter Pan Fei which causes the victim’s brother, Pan Pak, to take revenge. Ha Kwong-li particularly shines as the elder’s daughter, playing a feisty tearaway who can’t stand Tan’s teaching until she is beaten up by two classic clowns, called Ding Dong and Dong Dong. Peng Kang plays Tan’s nemesis Pan Pak: the master of the renowned Ground Kicking technique which is yet to be defeated, and a skill he relishes with adequate aplomb. Then there is Sun Jung-chi who is terrific in a quiet supporting role as Ha’s old sifu. The action scenes are fantastic, but whether you can stomach the dubbing and dumb humour (which mostly consists of Chin Lung falling over), well, that is a different matter.